Immerse yourself in a tropical paradise. Pristine beaches. Turquoise blue water. Reefs teeming with sea life. Located on Bordeaux Mountain, Treetops is surrounded by tropical gardens and the lush jungle terrain of the Virgin Islands National Park. From the famous underwater trail at Trunk Bay to the sea turtles at Maho Bay, St. John is a dream destination for snorkelers. Dive shops on the island also organize trips to reefs further offshore. Water sports enthusiasts will find countless bays, hidden beaches, mangrove forests, and private coves to explore. Rent a kayak or stand up paddleboard (SUP) on the island, or sign up for a class or day tour. Relax, unwind and recharge at some of the world’s most beautiful and celebrated beaches. From the North Shore to the East End, each of St. John’s beaches offers something unique and special. Follow an old colonial road through tropical forests and past ruins, or climb over a ridge to the island’s southernmost point. Hiking trails take adventurers to places so remote they can’t be reached by car. The house was perfect for the six of us. Nicely laid out, cook’s kitchen, washer/dryer, beautiful pool deck and hot tub. No view but that was okay, the stars were quite amazing and it was very peaceful. 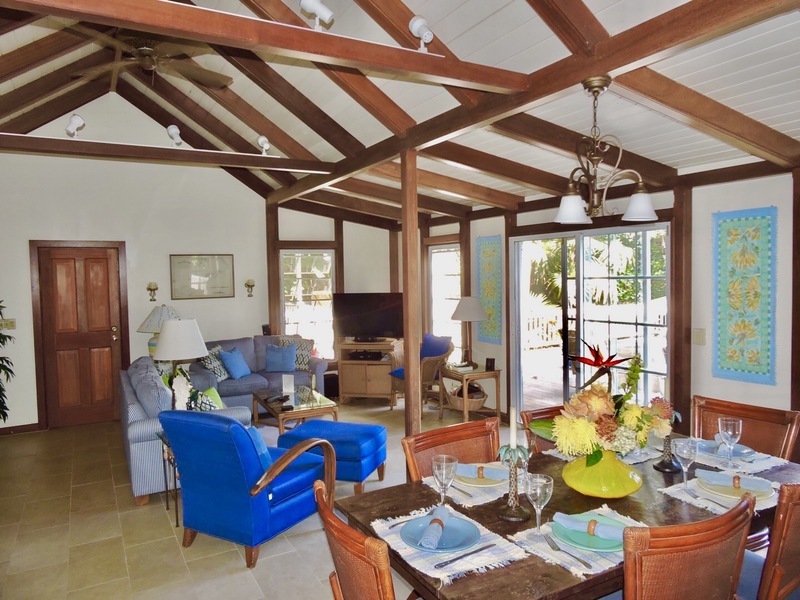 Our family has been coming to St. John since 1983 and this is one of the nicest places we’ve stayed. The pool deck at Treetops was the perfect venue for our small wedding reception of 20 people. The private setting and gentle breeze made our guests feel relaxed and comfortable, and the caterers raved about the large, well-stocked kitchen. We had another wonderful stay in Treetops. 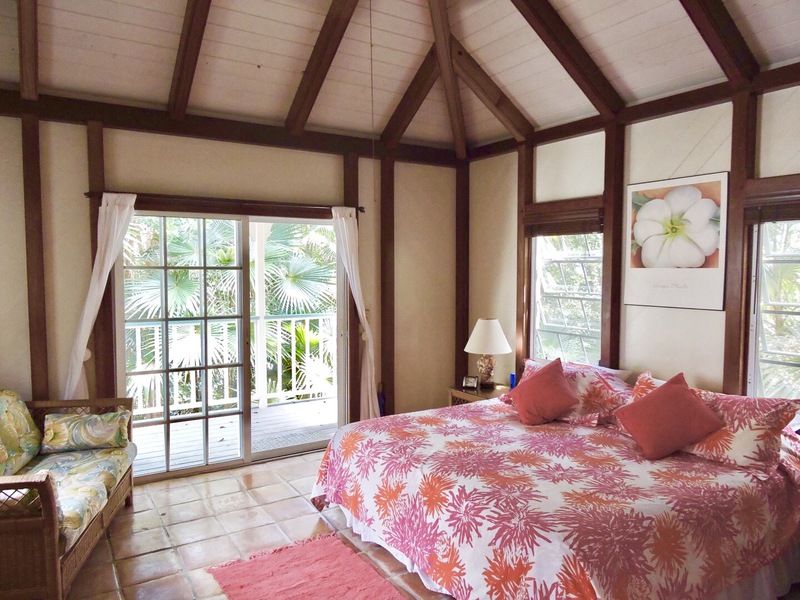 We love Treetops; the house is perfect, the air up here is clean, and it smells wonderful with all the Bay Rum trees. Thank you for sharing your home with us! We have been going to St. John for 10-plus years and are so excited to have found Treetops. We have stayed here many times in the spring and fall and each time is more amazing than the last. 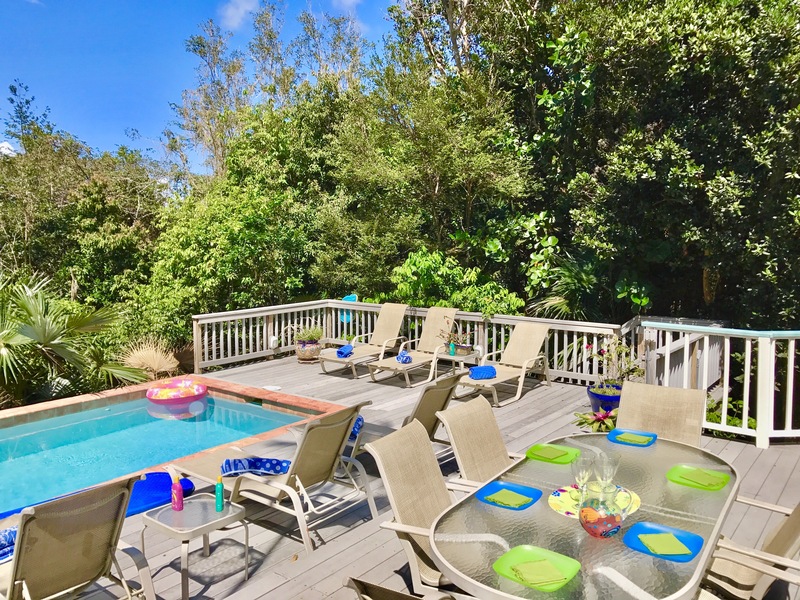 The Treetops house at Bordeaux Mountain is the ideal home for travelers who want to get the greatest pleasure from St. John, and it is the perfect setting that complements the beauty of the island.